I don’t know if it’s because my parents weren’t born in the U.S., or because I ate Italian and Arabic foods growing up, or why, but there are a lot of foods all of you have eaten that I have never even tried! I came up with just a starter list and it is kind of funny. Fluff (unless in a rice krispie treat). Collard Greens.. if that’s even what they are called. Grits (but I’ve had polenta plenty of times). I don’t feel like I’ve missed out. Growing up we ate foods that were very different than my friends. Example: Elementary school, maybe 5th grade. I am sitting there chatting with my friends and eating my lunch- just like everyone else. I had started to become conscious of how hairy my legs were compared to the other girls, especially since they were all these cute blonde kids. I was born with a unibrow. It was not cool. I was kind of like the kid in My Big Fat Greek Wedding, except that my friends were fascinating by how weird I was. My mom bought me flower capri stretch pants that I wore with a big pink top and one of those 80’s clips to scrunch the side. I pulled the bottom of the capris as far as they would go so they wouldn’t show my legs. I would soon ask my mom for permission to shave them, and she would make me use Nair. I’m not sure I ever got over that. No one had heard of Nutella back then. My nonna would bring it from Italy or we would buy tiny expensive jars from the Italian deli down the road. Yes. Many times my mom gave us kids a Nutella and arabic bread (pita) sandwich for my lunch. Coming from Italy, this was completely normal to her, and us kids loved it! Our lunches were way cooler than our friends with our chocolate sandwiches, fruit, and drink. For breakfast, aside from cereal, I would sometimes have yogurt. We did not buy flavored yogurt in my house. We had plain that we would scoop in big bowls and top with fresh lemon juice and sugar. Try it sometime, it is really lovely. I have so many memories watching Adventures in Wonderland before school or doing my Mousercize tape (I was obsessed with both) while eating my yogurt with lemon and sugar. Yum. I love food that has memories, and I know one day, eventually, for most of the items above, they will have a memory for me. Not yet, but soon… especially for the biscuits.. right Jenna? You promised. Now.. it’s your turn. Share your stories, and the foods you’ve never eaten. “i was born with a unibrow” hahahaha i’m cracking up. i’m almost 100% italian so i’m with you on that one, girl. and i have to say i dont think there’s much that i HAVENT eaten. but what i have is pretty cool – crocodile tail, alligator, eland, kudu, ostrich, zebra. (all in africa, obviously haha). i am willing to try almost anything, and i’ve lucked out having a family that is very adventurous in meals! I was SO the hairy-legged, unibrowed kid at school too. I also would take weird, amazing foods to school and the kids would think I was strange, until they would taste the food and then they’d request I bring more for them to have, haha. It’s amazing how it’s such a melting pot here were so many people grew up with parents from different cultures, eating different foods, and yet somehow we all come full circle in the end. I would highly recommend you try enchiladas, Sabrina. They’re kind of my favorite 🙂 You can even make them pretty healthy if you want. I have a good recipe on my blog if you ever decide to try them out, haha. OMG, OMG, OMG!! I must help you here! Fluff and peanut butter is just SO New England. You HAVE to try it. Pretty please!! I also feel as though you need to introduce enchiladas and refried beans immediately…!!! SO DELICIOUS. As far as kale goes, I’ll help you out by giving you some Portuguese soup, which is loaded with kale!! OK, when you come to SF again, we’ll go to my favorite restaurant, Brenda’s French Soul Food, where you can get both biscuits AND grits. Like, real Southern style ones even though we’re in SF. And you have to put butter on the biscuit or I won’t sit with you. Here is the short list of things I have never tried…veal, avocados, oysters, and kibbe nayeh(raw Middle Eastern beef pate for those who don’t know). Maybe I should give at least kibbe nayeh a try because hubby says I am truly miss out! Interesting fact: Nutella’s company’s headquarters are located in my hometown of Somerset, NJ! My mom used to make us salami and eggplant sandwiches for school. The eggplant was canned in tomato sauce and was soooo good! The other kids used to say that it looked like worms but I didn’t care. I don’t know if there are many things I haven’t eaten but definitely some of my favorite foods are things introduced to me by friends like you – stuff we never had at home. I remember in elementary school my favorite treats became Baklava – introduced to me from a Middle Eastern friend (maybe Lebanese?) and Challah bread from my Jewish friend. I actually loved the Challah so much that her mother would bake me a whole loaf every Jewish holiday. You’ve got to have enchiladas, but only if you are in an area that has acceptable ones! Enchiladas that aren’t from any place that doesn’t border Mexico don’t count! Or you can make them yourself. I’ve never had indian food and I’ve only had thai twice. Oh and real greek food (other than greek salads)that’s been in the last 6 months. sardines..well i guess technically i have if ive had caesar salad…does that even count? if its mainstream at all over the past 40 years i’ve eaten it! oh and i looooooooooooove grits! eat them ALL the time. its the poor mans couscous! 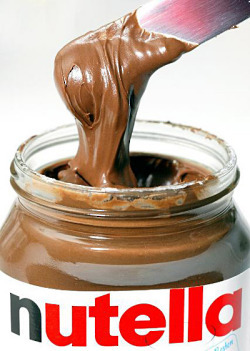 I remember the first time I had Nutella. I was at a friends house in high school and they had it. I was skeptical because I really dislike peanut butter and I was afraid that it would taste like chocolatey peanut butter. Not the case at all. I love it. There are many, many things that I have not eaten….brats, asparagus, (lots of produce items actually) trying to change that….slowly but surely…..
Wow I really thought I was the only one who felt that way growing up! I come from an italian family and growing up I hated my curly frizzy hair! I wanted beautiful straight hair like all the girls I went to school. I was not allowed to shave my legs until the 8th grade or wear make-up until after high school! My dad would always make homemade spinach pies, pigs in the blankets, or differnt calzones. Yum, they were so good! If you do come to visit RI again you have to try El Tapatio on Atwood Ave. They have wonderful mexican food and terrific sangria too! Sausage is great and super easy to make! You can it up and make it with potatoes, slow cook them with green peppers and onions or cook them in a gravy (tomato sauce)! you’ve never eaten kale?? Mmm, i love it now. i’m with you on the collard greens, grits and enchiladas 🙂 my dad gives me a hard time (jokingly, of course) about how i used to pick all the peppers and onions out of this one dish my mom made and left them in a ring around my plate! I have never eaten pickled herring. My mother in law serves it every Christmas Eve and I have never been able to try it. I loved pickled stuff and I love fish but I can’t imagine pickled fish. Ick! 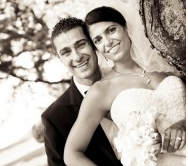 Your story cracked me up and reminded me so much of growing up — no big surprise b/c I’m Armenian. We used to call it arabic bread too. I thought we were the only ones! I’ve never had sour cream, cottage cheese and a lot of American basics like sloppy joes, hamburger helper and casseroles. And I still can’t figure out the point of Rice-A-Roni (probably because it’s based on an Armenian recipe). oh my gosh we just have so much in common! I grew up in and Indian vegetarian/vegan family. I did not have biscuits and gravy until 4 years ago! (I’m 24 now). I brought Indian food for lunch most days at elementary school and felt so weird haha. I didn’t have onion rings, scrambled eggs, omelets, hashbrowns, or even A MILKSHAKE until my 20s either! I also tried meat for the very first time when I was 20 haha. I felt like such an alien a lot times when I was eating with friends. @Sonia @ Master of Her Romaine, Oddly enough, I have never had real Indian food! I am DYING to try it though! Thank you so much for your comment- it is so cool to see how similar we all were growing up! @RhodeyGirlTests, you MUST try Indian food! The only thing that bothers me about a lot of the Indian food blog posts I’ve seen lately…is that “restaurant style” Indian food is catered toward Americans (in my opinion! )… Yes, it is delish but it’s not the same as what I have eaten growing up, and Indian friends’ homes, or in India itself! I am planning a post on this topic sometime this week 🙂 Do you think that Italian food in America is translated to make it tastier to Americans? @Sonia @ Master of Her Romaine, Italian food in America is not at ALL like the food in Italy. Everything is so heavy and covered in tomato sauce and/or cheese. And chicken parm etc. were CREATED in the U.S.!! When you write that post please forward it to me- I’d love to share it with everyone!! 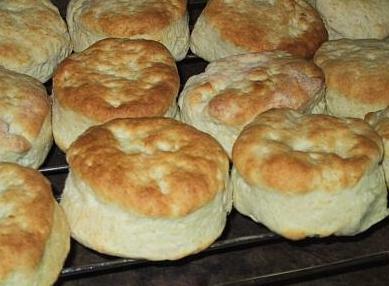 You’ve got to try a good southern biscuit. Go ahead and put some nutella on it, if you want, but I recommend homemade jam or honey and butter. I’ve never had beef tartar and my fiance just reminded me that there’s a Korean dish that uses an egg that has almost came to term and has a beak in it. I don’t think I’ll be trying that anytime soon. I will definitely do that 🙂 I don’t think I have ever had authentic Italian food- but I do love my pizza sans cheese! What a fun post 🙂 I used to be the ultimate picky eater when I was little. I wouldn’t even eat baby food as a baby- my mom had to try to make homemade stuff but I wouldn’t eat that either! I used to call lettuce “crunchy water” and never had a salad until I was 25 years old (4 yrs ago)- now I love them and eat them all the time. I’ve also never eaten: seafood of any sort, mayonnaise, avocado, blue cheese, grits(despite going to school in the south) or scrapple or cheese steaks (despite now living in Philly). The thought of any of them is enough to gross me out. I actually can’t even look at mayo. Haha. @Kelly, I hate mayo too. If my food touches it I won’t eat it. You MUST try avocado. You might not like it the first couple of times, but it will grow on you until you become obsessed! I’ve never had real indian food. I’m pretty adventurous with food because of traveling with my family as a military kid but indian was just never on my radar. Seeing it on the blog world really makes me want to try it.